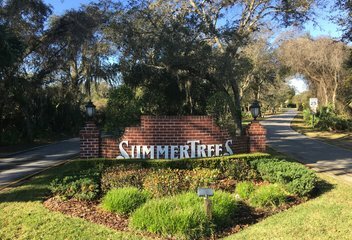 Home seekers will enjoy the many different neighborhoods to choose from here, as well as the variety of local houses and condos for sale. 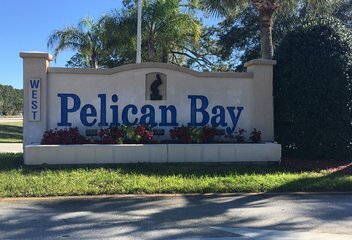 Depending on where you settle, you could be teeing off from your back yard, enjoying a view of Daytona's World Famous Beaches, or next to a popular community park or near top-rated schools. 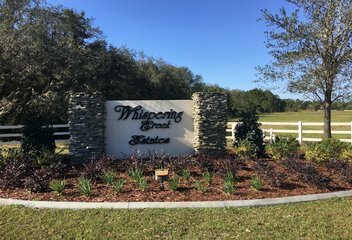 This equestrian neighborhood allow country living with downtown convenience. 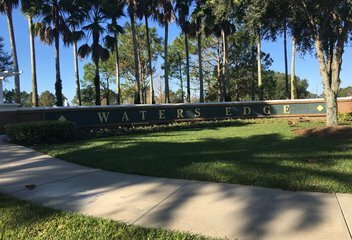 Though it is on the outskirts of Port Orange, it is zoned for award winning schools and minutes from the Port Orange Pavilion. 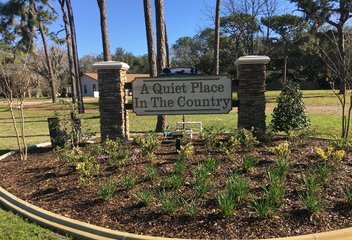 This neighborhood is feels exactly like its name, a quiet place in the country. 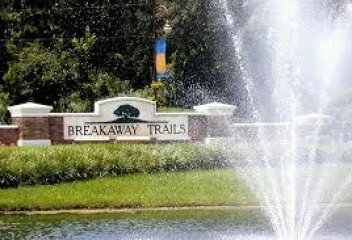 Breakaway Trails is an upscale gated community in Ormond Beach. A sprawling community with many neighborhoods throughout known for its environmentally protected nature preserves. It is ideally located next to I-95, beaches, shopping, schools and recreation. 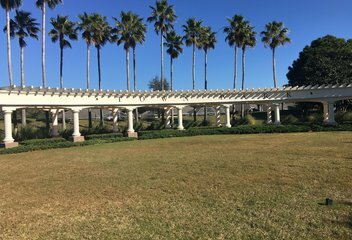 It has amenities such as pools, hockey roller rinks, tennis courts, a pavilion, and so much more. 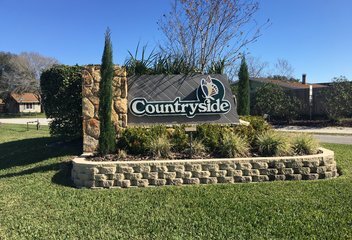 Drive up to the gatehouse of this exclusive community and feel the fresh air and country atmosphere of this one-of-a-kind community. 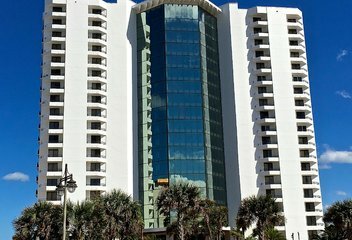 Located in the heart of Daytona Beach Shores, Caribbean Condos is a high-rise condominium known for it's grand atrium lobby. 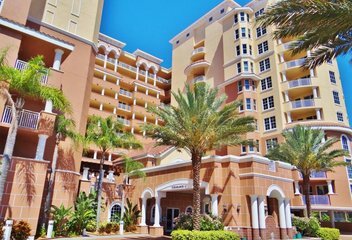 The 19-story condo building offers luxury accommodations in a premier location with restaurants and entertainment only a few minutes away. 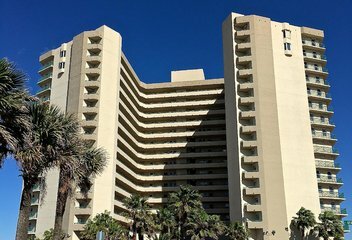 Take the glass elevator up to your oceanfront condo with lavish amenities. What else can beat relaxing under the beautiful Florida sun and playing a round of golf with your favorite people? 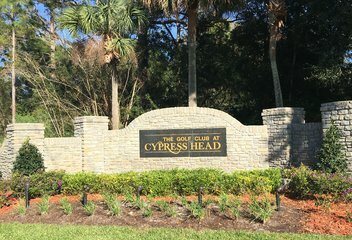 Perhaps you are an avid golfer or just making up for lost time on the course, with golf communities like Venetian Bay, Cypress Head, and LPGA you will not be disappointed. 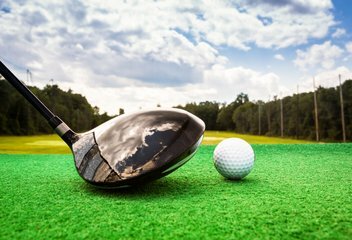 Let us guide you through the process and get you swinging your club minutes from your front door. Your vacation home awaits and we know just how to find it! 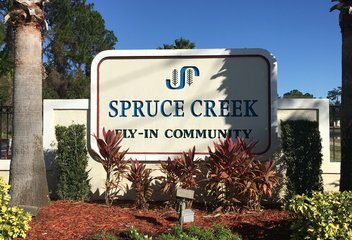 Enjoy your privacy in this lovely neighborhood nestled away off of Spruce Creek Road. Close to a lovely park great for kids and families to play and a quaint neighborhood general store. Homes range from $170K- $275K and offer spacious split floor plans. 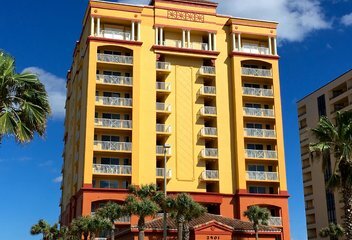 Close to the world’s famous beach and Volusia’s A+ schools. 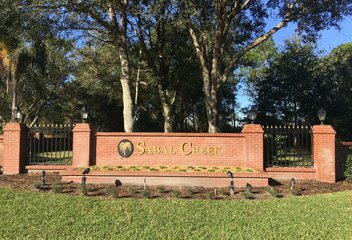 This neighborhood offers a variety of homes with some sitting directly next to Spruce Creek and offering breathtaking views. Each of these custom built homes offer its own character and charm. 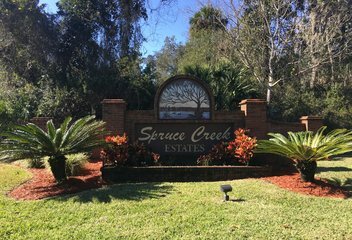 You have your choice of smaller homes with little maintenance required to larger estates with spectacular views of Spruce Creek. 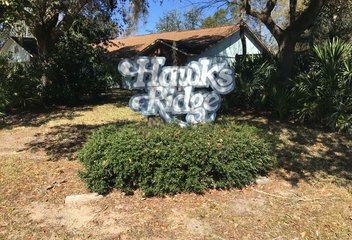 This neighborhood sits in a prime Port Orange location and offers convenience and tranquility. 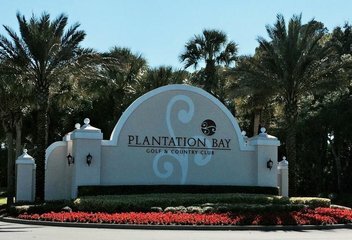 This is a premier golf community in Daytona Beach. The community features the Champions and Legends Golf Courses. 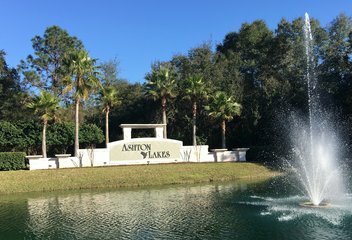 The community has beautiful homes nestled throughout the 4,500 acres. 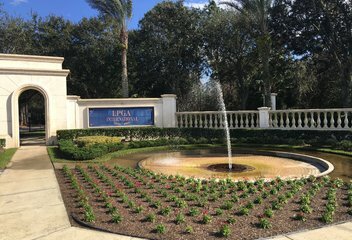 If waking up knowing you could be teeing off within minutes is your dream, then call us and let us help you find your dream home in LPGA! 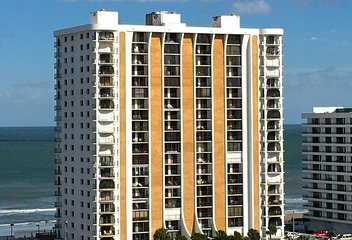 Oceans Grand Condominium is one of the most distinguished Daytona Beach Shores addresses. 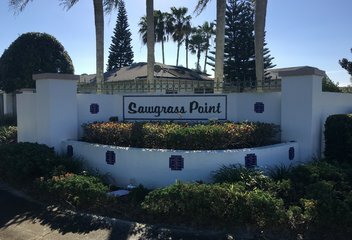 This 190 unit luxury condo building is located next to the popular Intracoastal waterway and a brief walk to the "Worlds Most Famous Beach." Breathtaking split views of both the Halifax and Atlantic ocean are located in most units. 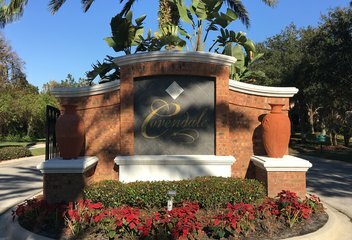 This condominium also includes 24 hour security, pool, spa amenities, exercise room, game room, nearby tennis courts and much more. 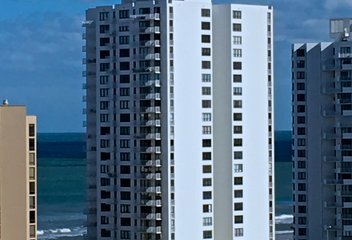 Oceans Six condominium offers direct oceanfront views of the Atlantic Ocean. 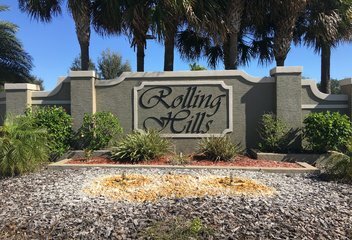 This newly constructed condo is located near many outdoor activities such as golf, tennis, pickle ball, fishing and has a fully equipped exercise room. Restaurants, shopping, entertainment are conveniently at your pleasure. 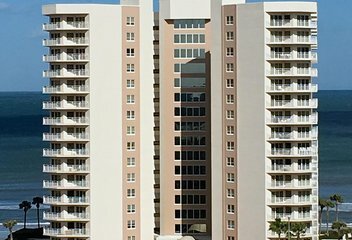 Oceans Three Condominium is located directly on the Atlantic Ocean in Daytona Beach Shores, Florida. The unique construction of Oceans Three provides privacy with only 6 units per floor and remarkable views. 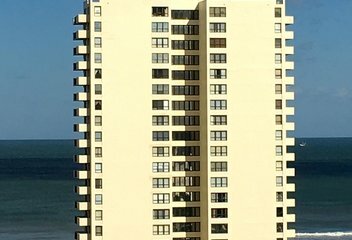 This oceanfront building is conveniently located near shopping, restaurants, banking, hospitals, supermarkets and more. 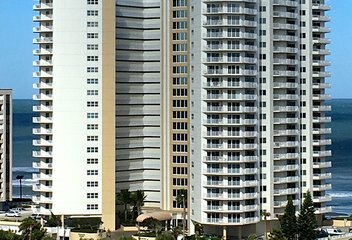 Located on The Worlds Most Famous Beach, Opus boasts magnificent views of the Atlantic & Intracoastal Waterway. 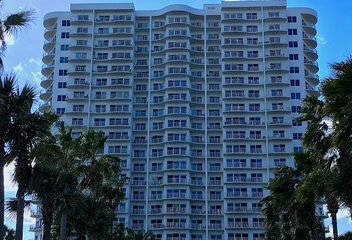 Each floor on this 11-story condo has 5 units for extreme privacy. Residents can pick from 3 or 2 bedroom units with 5 different floor plans. Take a step onto your balcony with your two pets up to 60 lbs and watch the sunrise over the Atlantic. Residents and their guest are pampered onsite with amenities such as the pool area and fitness center. 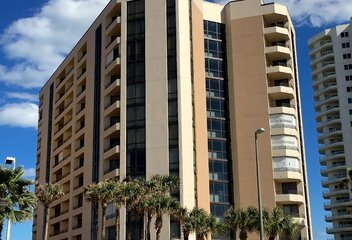 Wake up to oceanfront sunrises and Halifax River Views by living in Daytona Beach's iconic Peck Plaza Condominium. Residents will enjoy an array of amenities which compliment an extravagant lifestyle such as tennis court, basketball court, oceanfront pool, game room, clubroom, exercise room, sundeck and on the 29th floor their is the famous Top of Daytona Restaurant, which offers a full bar and gourmet dishes sitting 265 feet above sea level with a 360 degree million dollar view. 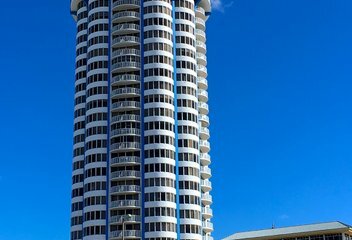 This elegantly designed 23 story building with standout waterfalls, fancy décor and large atrium, offers residents the finest beachfront living. 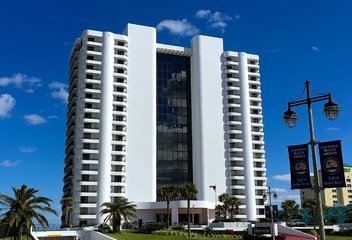 The Peninsula Condominium sits on Daytona Beach offering many amenities to accommodate their residents, exercise room, spa, clubroom, billiard room and indoor/outdoor pools. 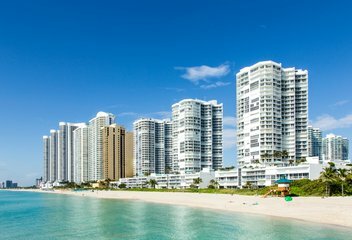 Conveniently located both north and south on Atlantic Avenue you will find restaurants, supermarkets, banks, entertainment, night-life, hospitals and much more. 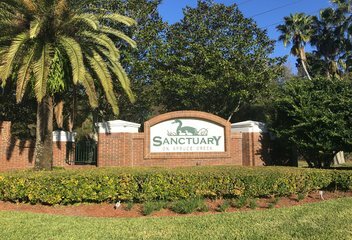 A beautiful brick entrance greets you as you drive up to this serene, gated neighborhood. An abundance of beautiful oak trees line this neighborhood and offer a more nature-like feel. This neighborhood offers a range of home options, from starter homes to estate living. 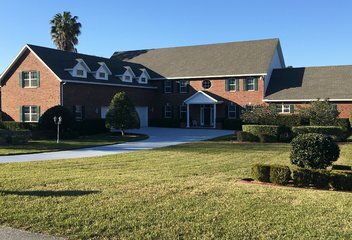 The homes in this community were primarily built by Johnson Group and many have high columns accentuating the front of the houses that provide a more regal feel. Johnson also offers a safe room in many of their models. 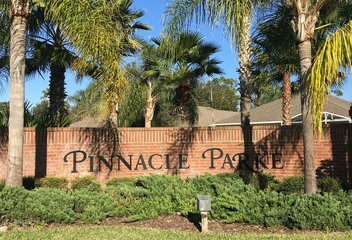 This neighborhood offers beautiful homes with close proximity to great golfing, shopping, and restaurants. 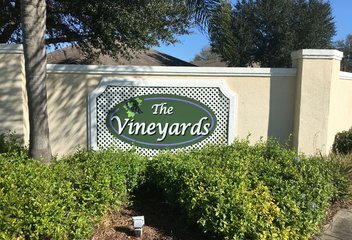 Located just minutes from I-95 and I-4, this neighborhood offers an easy commute to Orlando and the surrounding areas. A 10 minute drives puts you right on the world’s most famous beach. This is one of the few beaches in the world that allows you to drive along Atlantic coast. 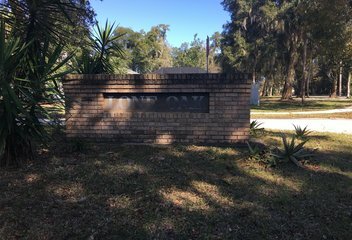 This neighborhood is very popular with an array of open floor plans available at very reasonable costs. Live in this amenity-filled luxurious condominium, Towers Grande. Take the elevator down to your heated or indoor pool, fitness center, club room or even take a dip in the Atlantic Ocean. 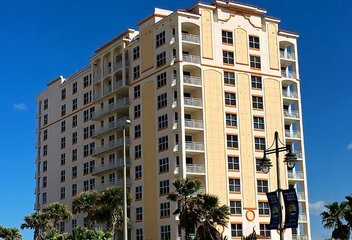 This beachfront condominium is located just minutes away from all your needs, restaurants, entertainment, bank, post office, supermarket, golf course, tennis courts, Sun Glow Pier and much more. Wine down on your balcony watching the ocean at the end of your day on your ocean view terrace. This neighborhood is for those wanting to enjoy a leisure lifestyle. 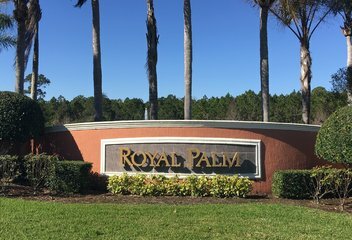 Royal Palm is predominantly a 55+ community. 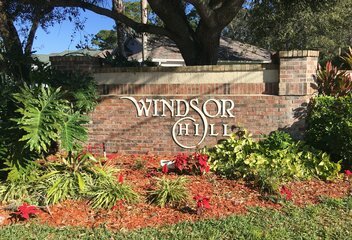 It features beautiful homes and very friendly atmosphere. Join your neighbors at the community center for some laps in the pool, a friendly game of shuffleboard, or to just relax and chat as you enjoy the Florida Sun! 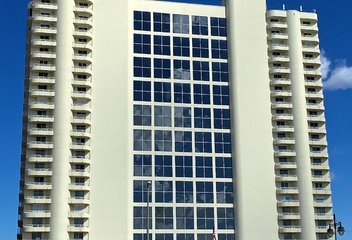 You are only 10 minutes from Daytona’s World Famous Beach and seconds from shopping and restaurants at the Port range Pavilion. 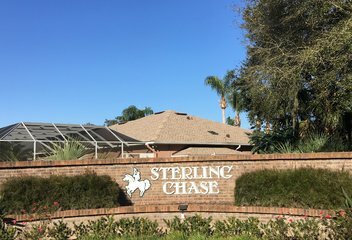 This masterfully-planned ICI neighborhood is perfect for families looking to call Port Orange home next to A-Rated schools! ICI does a beautiful job designing these homes with an array of floor plan options that gives each home its own personal look and feel. 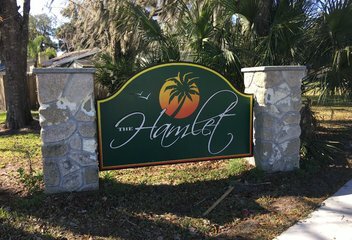 This community is great for owners looking to build or find newer resale homes in Port Orange. 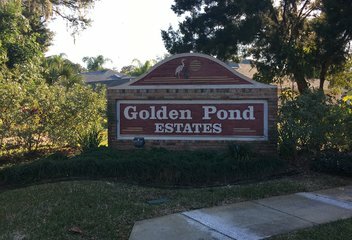 White picket fences, grand fountains, and calming lakes throughout this magnificent neighborhood make it perfect for family outings and strolls! 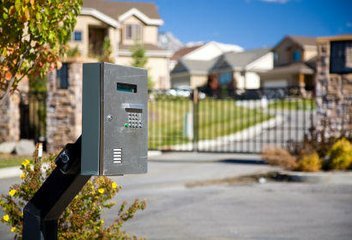 This neighborhood has beautiful homes with close proximity to shopping and restaurants. 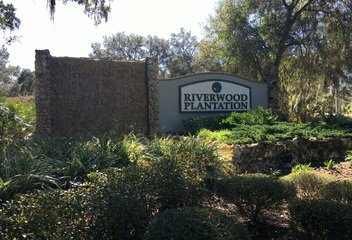 Located just minutes from the I-95 and I-4 for those commuting to the Sanford or Orlando areas for work. A nice and easy 10 minute drives puts you right on the world’s famous beach. This is one of the few beaches in the world that allow you to drive along the Atlantic coast. 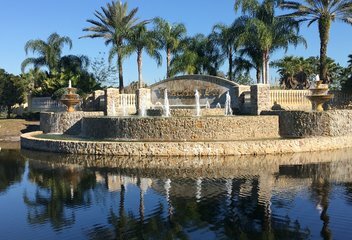 A short drive from your driveway puts you right on the golf course at Crane Lakes Golf Club.